hosted by Brandee’s Book Endings!!!! This is your backstage pass to find out why readers, reviewers and bloggers have fallen for a love story that was never supposed to happen! 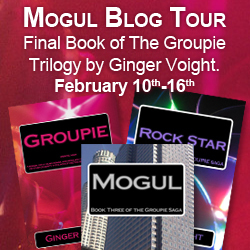 Make sure you check out this whole post for links and info on the books, link to my reviews, Ginger’s bio, the GROUPIE TRILOGY TRAILER (which I LOVE), link to BLOG TOUR FACEBOOK EVENT, Facebook FAN GROUP link, TOUR SCHEDULE and the GIVEAWAY! 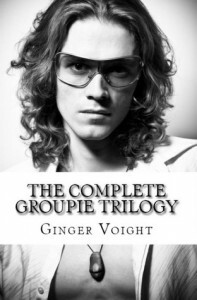 If you have not started this series yet, you can buy ALL 3 books of the Groupie Rubenesque romance series in this economical trilogy bundle! TO ENTER THE GIVEAWAY SEE THE BOTTOM OF THIS PAGE! 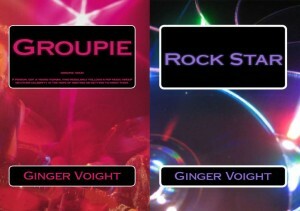 In the final book of Ginger Voight’s Groupie Trilogy, Andy and Vanni have returned to Los Angeles to prepare for the birth of their child. A reformed Ladies’ Man, Giovanni Carnevale now embarks on a life of monogamy with the woman he loves, but the ghosts of his past still continue to haunt their newfound happiness. The Wilke family wants to see him pay for the damage he has done to their precious Baylee, who still lies in a vegetative state. For her brother, Donny, money will never be enough to make up for what Vanni has done, but that is where the Wilke family first seeks their revenge, demanding millions of dollars in restitution. To ensure he has enough money to make up for his mistakes as well as provide for his baby, Vanni takes on the job as judge for a new reality talent show called “Fierce,” where he champions an unlikely contestant, proving him to be a man of substance more than anyone could have imagined. Graham tries to move on, but when he discovers that Andy is pregnant he cannot stop dreaming of what might have been. Maggie watches on helplessly, as hopelessly in love with him as he is with someone else. She considers moving on before he shatters what is left of her heart. The biggest threat to Vanni and Andy’s Happily Ever After is Holly Neal, who returns to Los Angeles claiming to carry Vanni’s baby. Graham and Andy suspect she is up to her old tricks, but Vanni knows truly turning over a new leaf means he has to do right by all the people he has wronged – including a child he may have conceived with another woman. In the end, it is Andy and their baby who may pay the biggest price of all for his sins, when Baylee’s death sends her psychotic brother over the edge. 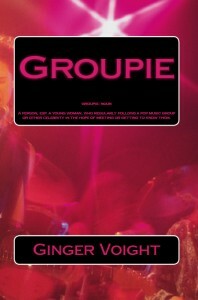 Everything blows literally to pieces, forcing Vanni – and Graham – to give it all for the sake of love. Check out this Trailer for the series!!!!!! Andy Foster never expected lightning to strike when she met the enigmatic frontman of an up-and-coming rock band, but Giovanni Carnevale left her thunderstruck. 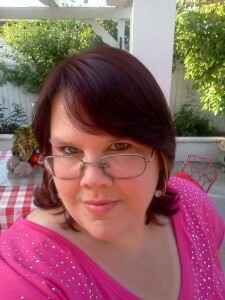 At first it is easy to use her freelance writing career as an excuse to indulge the steamy flirtation from city to city. As she gets ever closer to making her lascivious fantasies a reality, however, she finds herself entangled in the fake and sometimes dangerous world of celebrity where nothing is as it seems, including the celebrities themselves. She hangs on to find something real amidst the illusion, while Giovanni balances what he wants against what he fears most. Over three years they come together and blow apart with the same kind of combustible passion. This keeps them orbiting in the others’ stratosphere despite new relationships and bitter betrayals. They are bound together by something they can’t fight, something that draws the ire of another fan determined to claim Vanni all to herself. Unknowingly they all race toward a dramatic moment of truth that will leave two people injured, and one dead, with a twist of an ending you may never see coming. 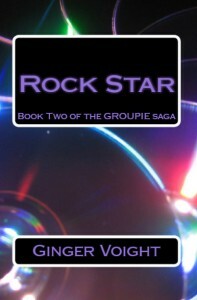 Rock Star” is the highly anticipated sequel to Ginger Voight’s Rock and Roll Rubenesque saga, which began with the sizzling debut of “Groupie.” For those who have been anxious to see what has become of Andy, Vanni and Graham… buckle your seat belts. You’re in for a thrilling new ride right through the dark underbelly of fame. In the second book in the series, readers get insight into the mind of the romantic hero, Giovanni Carnevale, as he reaches the pinnacle of success as a worldwide rock star. Everyone wants a piece of him, but all he wants is the one thing he can’t have. He’s angry and he’s entitled, with ample opportunity to make really bad decisions. The combination proves explosive. Andy must watch from the sidelines as her beloved Vanni falls victim to grifters, scandals and alcoholism thanks to this self-destructive behavior. Things come to an emotional head when his estranged father comes on the scene just when Vanni thinks things can’t get any worse. Darkness shadows Graham Baxter as he begins his journey as a paraplegic. 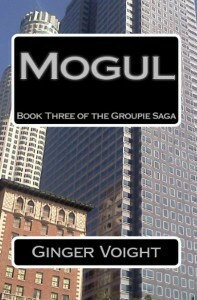 The powerful mogul bitterly handles this new vulnerability by lashing out at the people who could help him the most. He needs Andy more than ever, pulling her in yet another hopeless direction. Andy is put in the impossible situation of keeping the most important promise she has ever made, or saving the man that she can’t help but love. 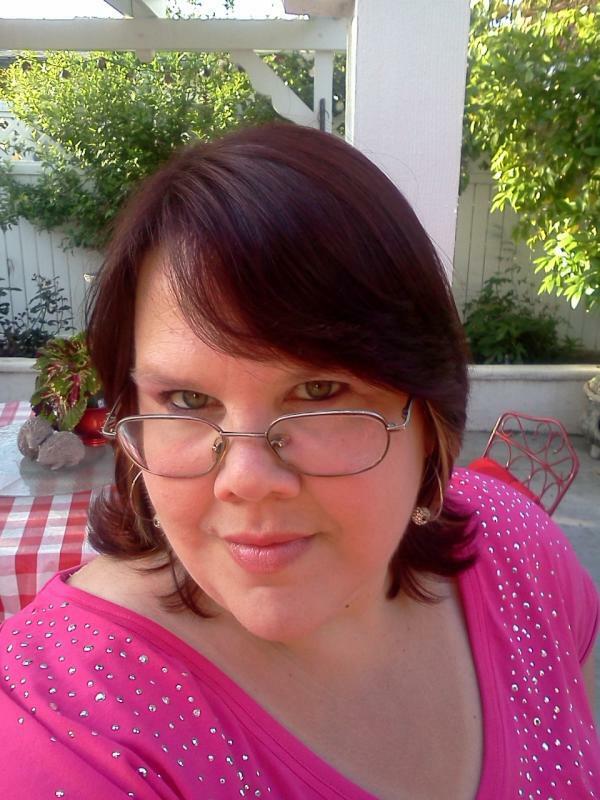 Author Ginger Voight turns up the scandals, secrets, passion and heartbreak to 11. Flawed characters face excess and all the pitfalls that entails. They fight as hard as they can to hold onto anything real in the fake world of celebrity. <———Click this image to see the blog tour schedule! Make sure to travel along with us next week – there are chances to win at every stop!! !